Longevity,with extended shelf life is possible when the packed product is not in the ingress of oxygen & moisture. Gradually, the expected life of our product decreases because of inappropriate packaging format. With the modified atmosphere packaging technique,the inner environment of the pouch can be moderated with the aim of retaining the essential nutritive value of the product. 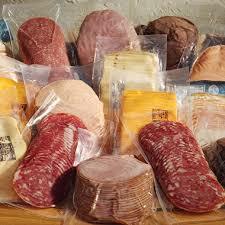 Vacuum Pouches,best suited for, meat & fish packaging, poultry packaging, fruits & vegetables, frozen items etc. where the extra air is removed out & the pouch takes the same shape as that of the product, making it aesthetically and technically viable for consumer use. The process involved in the manufacturing of vacuum pouches considers all the key parameters associated for any food grade pouch. Previous post Printed Laminated Rolls/ Pouches Next post Why Aluminum Foil Pouches are being used in different industries including Food, Pharmaceutical, Agricultural products etc.? ?